How Many Times Should You Prune a Tree? Tree pruning is a lot like self-grooming. It depends largely on the type of pruning you are doing in order to know how many times you are able to prune. For example, pruning to remove dead wood, leaves and branches can be done at any time. 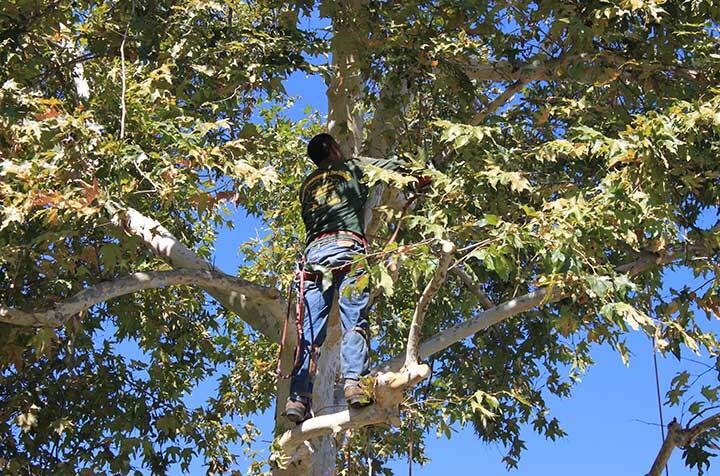 If you are looking to prune your tree for any other reasons, there certainly are guidelines to follow. Winter is a dormant season for most plants and trees since it is a time that they brace for the worst weather conditions. It is a common practice for many gardeners to prune during the winter and is usually best to wait until the coldest part of winter has passed. Don’t worry if your tree begins to “bleed” as some species do. This will not cause harm to the tree, and the “bleeding” will cease once the tree leafs out. Summer pruning is usually completed when your tree is not growing in the right direction. Since most tree growth occurs in the summer months, you can begin pruning and slowly remove the branches you don’t want. Defective limbs or branches can be seen more easily this way and these can be removed as well during this time. Remember, Gonzalez Landscaping offers this service and more. We are here for your every gardening need in Agoura Hills, Los Angeles, and all surrounding areas. Call us today!